It's time to Celery-brate Celery! 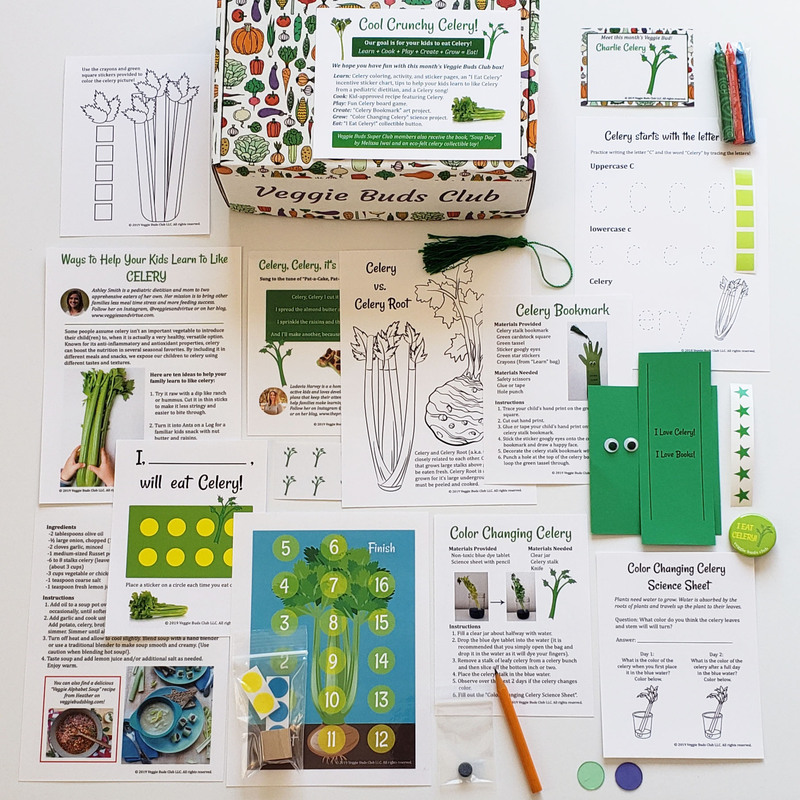 Contents include a Celery Bookmark craft project, Celery board game, Color Changing Celery science project with worksheet, activity pages with crayons and stickers, a Celery kid-friendly recipe card, incentive sticker chart, a tips sheet to encourage your child(ren) to learn to love Celery from a pediatric dietitian, Celery song card, and an "I Eat Celery!" collectible button.